The Social Services Fund, established to support Lama Zopa Rinpoche’s Vast Visions for the FPMT organization, offers benefit to others primarily India, Nepal, Tibet and Mongolia by helping children, the elderly, sick and very poor by offering grants for schools, hospices, health clinics, soup kitchens, elderly homes, orphanages and much more. 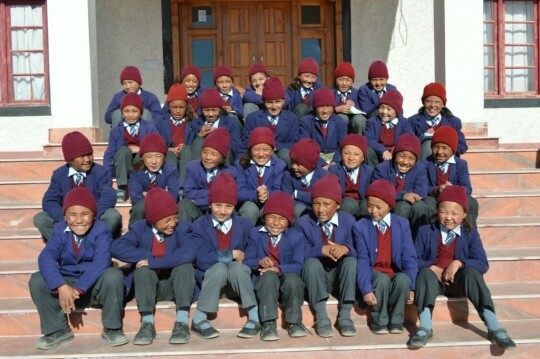 School children from Ladakh. The Social Services Fund offers meals to these children. Many were in need of medical attention in addition to basic necessities for survival following the Nepal earthquake of 2015. Members of the elderly home at Rabagayling Tibetan Settlement are offered food through a grant from the Social Services Fund. Sponsors pujas, practices, and prayers to pacify the elements and protect those harmed by disasters of earth, wind, fire, and water. 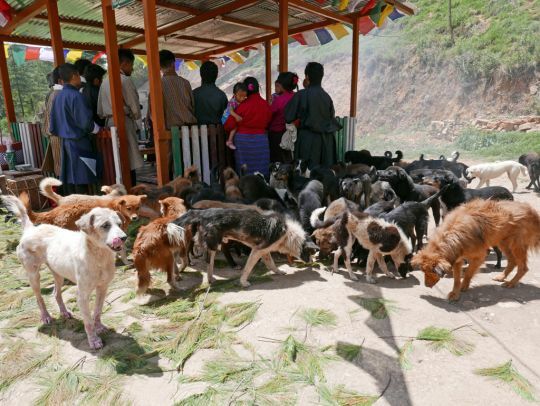 Dogs gathered at Jangsa Animal Saving Trust in Bhutan while Lama Zopa Rinpoche gave blessings. June 2016. Photo by Ven. Roger Kunsang. Grants to support the saving lives of animals, as well as food, shelter and medical care. The Animal Liberation Fund is also part of the activities of the Social Services Fund and you can learn more and donate directly to the Animal Liberation Fund here. 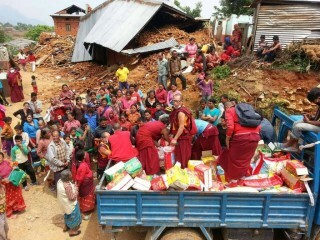 Kopan monks distribute aid to villagers after earthquake, Nepal. 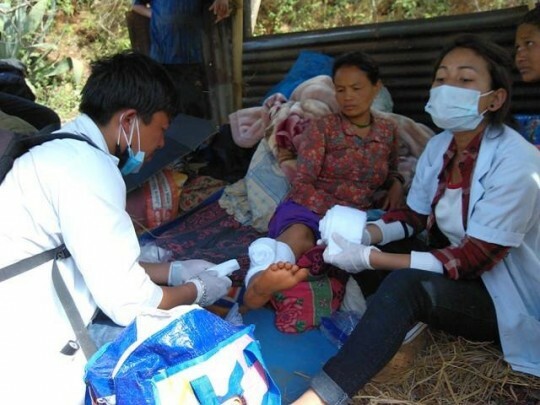 Donations to the Nepal Earthquake Support Fund are still being used to offer relief and shelter to the people in Thame and Rowaling areas of Nepal, who suffered devastation due to the magnitude 7.8 earthquake that struck on April 25, 2015. 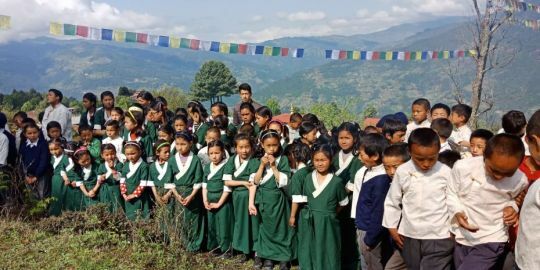 This fund is also being used to provide for the immediate and long-term needs of Kopan Monastery and Nunnery, Lawudo, and other local FPMT centers effected by the earthquake. It is good for FPMT to benefit extensively sentient beings by offering various social services, such as those that bring loving kindness and peace to youth using Universal Education methods, religious interfaith activities which bring peace and happiness and extensively benefit others by spreading Dharma. Practicing this gives you the best happy life, it fulfills all your wishes and all living beings’ wishes for happiness. Or simply send your check in US dollars payable to FPMT Inc. and write “Social Services Fund” on the memo line. The Social Services Fund is a project of FPMT Inc. All donations made to the fund are tax-deductible within the United States in accordance with IRS Code article 501(C)(3) to the extent allowed by law.